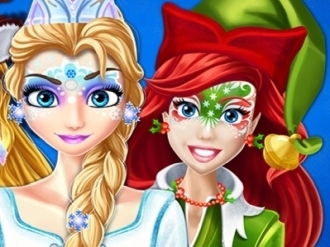 Christmas is coming and these princesses want to stand out on that thematic party they are going. Help them to get a facial paint specific for the celebration and get creative when it comes to add some dynamic accessories. Make three different face painting and discover the hidden talent you have got as a make up artist for the whole face. Try to have fun while you create a design for a Christmas party. 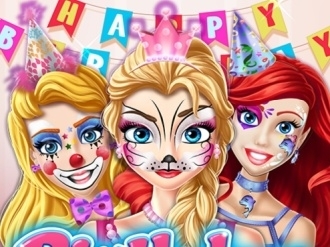 Look at these three Disney princesses ready to party in this face painting game and start to create a unique aspect for each of them because this is what this birthday party require. Put your imagination on the table and transform their face in a special character with that make up for the whole face. Add some funny accessories to personalize their appearance and make their fantasy look more alive. Rapunzel has been so bored locked away in her tower. She has to find something to do while Flynn is away! She has discovered that her love of art has led her to a new activity - face painting!! She loves to create whimsical new looks. 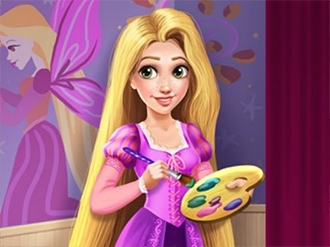 In this game Rapunzel wants you to paint her face in a gorgeous design. Have fun playing girl games! A usual morning routine for Rapunzel to clean up yesterday's mess, but this time she needs someone's help, will you be the one? Start by finding the important items from her room and you can decorate it in a unique style with murals. In this make up game is a place in Central Park where you get a paint on your face to change your look and make it childish and even magic. 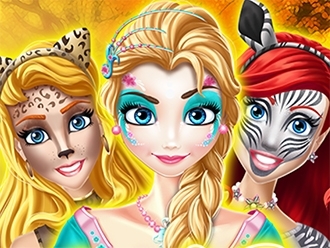 These three princesses need to try it and they want a different make up for face with a special pattern and maybe a suitable outfit for it too. Have fun and choose a face painting design that would be on your princesses taste with a touch of your sense of fashion. The spring is here and Tinkerbell wants to get a fresh look and she came to your fairy beauty salon. 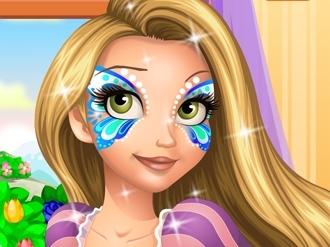 Choose one of the face paintings and see how Tinkerbell looks . Be sure to test them all and decide witch one looks better.